As more and more people use social media throughout their daily lives, the importance of developing and maintaining a strong online presence has never been clearer. However, while many businesses are keen to have a stab at social media, the reality is that many SMEs and start-ups simply don’t have the time, knowledge or resources available to do so. Since the importance of a social media strategy should never be overlooked, it’s essential to ensure that you know the best course of action that will allow you to maximise your business’ online potential. 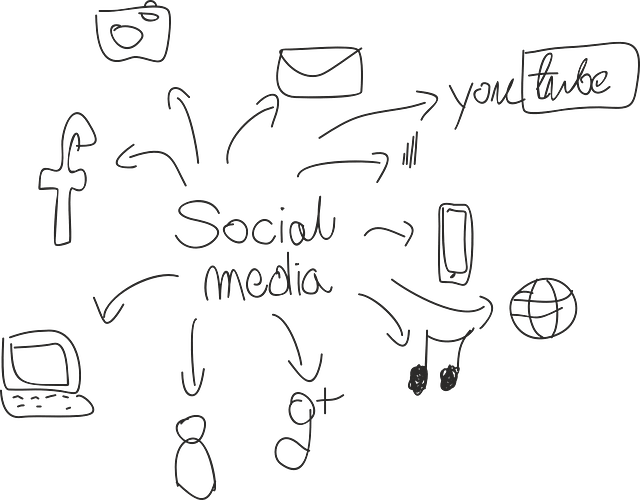 Here is a simple guide to help you through the basics of setting up and developing a strong social media strategy for your business. There is a wide range of different social channels available, all of which have their own unique set of benefits and drawbacks. While Facebook, Twitter and Instagram are arguably the most beneficial for businesses, depending on a multitude of influencing factors, other social channels like Snapchat, LinkedIn, YouTube and Twitch could also be useful. Brand voice and tone – It’s important to project a united front across everything to do with your business, and this includes your social media. Pick a brand voice and stick to it! The results are in and your findings are clear to see; this means that it’s time to adapt your strategy and tweak your approach to social media in accordance with your findings. What worked? What didn’t work? What can you do better and what should you keep doing? To reap the best results from your social media channels, this should be a constant process of trialling new things, assessing the results, then adapting your strategy accordingly. By keeping things fresh and constantly catering to the changing needs of your ever-growing audience, you should be well placed to grow your business’ social media channels and work towards an effective multi-channel approach to online digital marketing. Of course, although this may seem like a simple, black and white method, the reality is that social media isn’t always quite so straightforward. There is no such thing as a one size fits all approach to social media marketing and sometimes, what works well for one business could be catastrophic for another! If you are struggling to navigate the murky waters of social media, finding it difficult to grow your following or simply lacking the time you need to stay up to date with all your channels, you may find it beneficial to call in an expert – check this out for more information on digital marketing services. However you choose to go about growing, developing and maintaining your business’ social media strategy, the truth of the matter is that big and small companies alike are bound to benefit from the increased visibility, website traffic and conversions that a strong, effective social media presence can bring. The initial set up process may seem like a lot of work, but do it right and it won’t be long before you are reaping the rewards of all that hard work!